Jaguar without any doubt gained million of accolades for its looks and performance but it looks company has intentions to treat its customers with more in line. 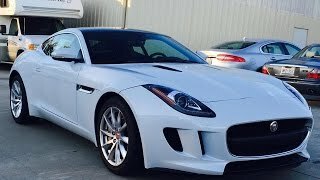 Jaguar F-Type Convertible 2016 is the same step we are here to talk about. 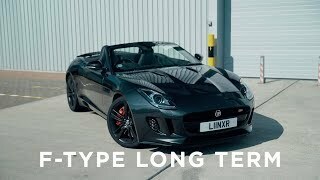 Powered by the same engine as that in the F-Type Coupe version this new release brings more inside its beautiful convertible body, let us have a closer look and decide if this new release is worth the expectations car lovers have from Jaguar. The interior of Jaguar F Type Convertible 2016 doesn’t come with many changes. Gauges in the instrument cluster and infotainment system gets an update. The updated version of infotainment system will now allow the buyer to keep an eye upon door lock status and will also enable him to monitor fuel levels. Not only these with help of this all new updated infotainment system you can now also start the engine. Jaguar F Type Convertible 2016 in its interior as standard equipment brings a 770 Watt Meridian sound system, SiriusXM radio and Jaguar Smart Key keyless entry. Apart from these the cabin includes all the same traits as that in the coupe version. Just like the Interior, the exterior of Jaguar F Type Convertible 2016 too didn’t come with many changes. Well here we are happy, as the F Type is already an extremely beautifully designed and engineered model with its sporty exterior. Coming in two variant F-Type S and F-Type R is what brings that minute difference in the exterior of Jaguar F-Type Convertible 2016. Being convertible model gets a new roof for both the variants and another difference comes at the rear fascia. The taillight located at the right side of trunk portrays the ‘R’ and ‘S’ badge. Apart from these rest everything carries the legacy. 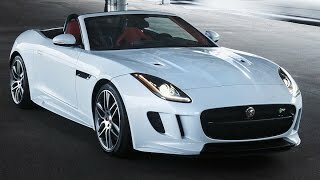 As we mentioned earlier in this article that the Jaguar F Type Convertible 2016 comes in two variants: F Type S and F Type R. The former gets its power through a 3.0 Liter V6 Supercharged engine producing 380 hp and 460 nm torque while the latter comes with a powerful massive 5.0 liter V8 Supercharged producing 550 HP and 680 nm torque. The power statistics when compiled with an all wheel drive mechanism; Audi F Type R Convertible becomes capable of reaching a top speed of 186 mph and can sprint the 0-60 mph in 3.9 seconds. 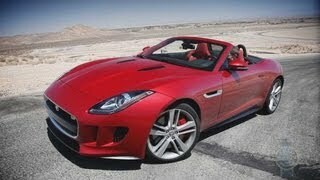 Talking about the S Convertible the top speed sits at 171 mph while the 0-60 mph sprint notches to 4.9 seconds. Both the variant are paired to 8-speed Quickshift transmission.